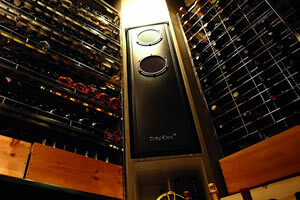 In summer, you need to pay more attention to your wine’s storage temperature! In fact, there is a high risk of wine deteriorating because of heat. 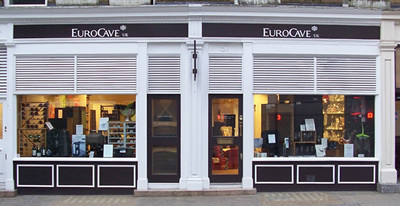 Discover EuroCave’s solutions. EuroCave, wine storage, wine preservation, wine maturing, summer, protecting wine from heat, stable temperature, wine storage temperature, wine maturing temperature. 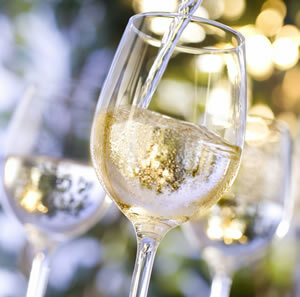 Summer is upon us and temperatures are rising… Can you be sure that your wine will not be affected? Heat shock is harmful to wine, which develops best when matured slowly, at a temperature of around 12°C. So, be vigilant and prepare for heatwaves! Discover our solutions to ensure your wines age safely, even during periods of hot weather! EuroCave wine maturing cabinets recreate the same conditions found in natural cellars and guarantee a constant temperature (12°C) and humidity levels, even in hot weather. The Inoa cellar conditioner controls the temperature of your natural wine cellar or wine storage room in order to maintain a constant temperature and humidity levels, regardless of the outside temperature (-5°C to 35°C). 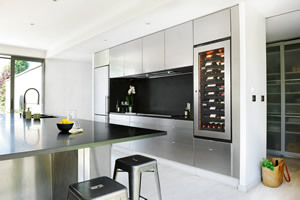 Wine serving cabinets allow you to serve your wine at the ideal temperature. Wine Art allows you to bring 2 bottles to the ideal serving temperature. 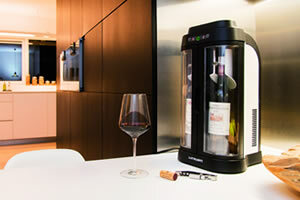 You can then store the open bottles for up to 10 days, thanks to the air vacuum system.